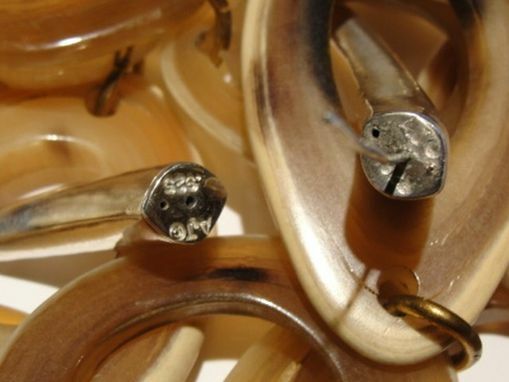 This earring is part of my 6th collection of horn inspired jewelry. 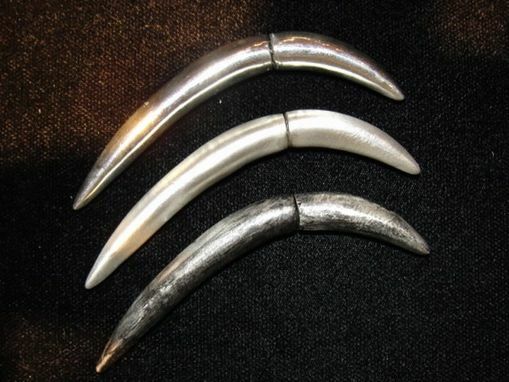 Horns, ivory, and scrimshaw are a part of many animals and have been worn by people for adornment as well as talismans from the earliest of times. This particular earring was inspired by the love to gauge and stretch out the ears, known by so many peoples all over the globe, whether it be african, amazon, polynesian, or just a modern lover of body manipulation. With this earring you can have the look without doing the irreversible damage of stretching your ear lobe, which also takes years of adjustments and continued patience. 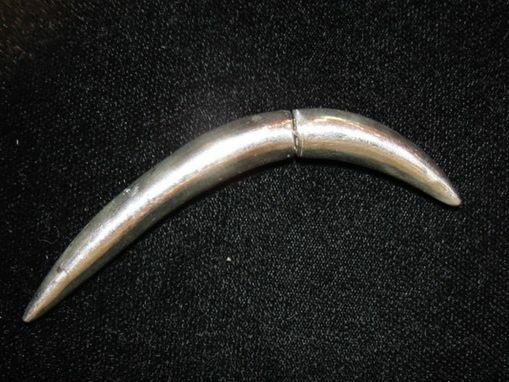 This sterling silver horn is hollow, so it is light weight( approx. 12.7grams), 3 inches long, and measures 3mm's to 9mm's in width as it graduates up and tapers back down. All are marked AJc and 925, Alberto Juan and 925 for sterling silver. Available polished, satin, and antique finish. 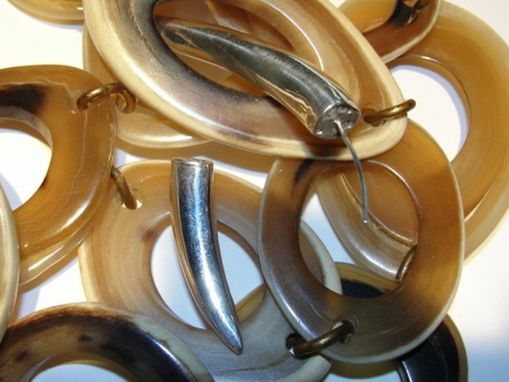 This listing is for the polished horn earring. As with all Alberto Juan jewelry comes in a protective Velvet black bag, shown in some listings.